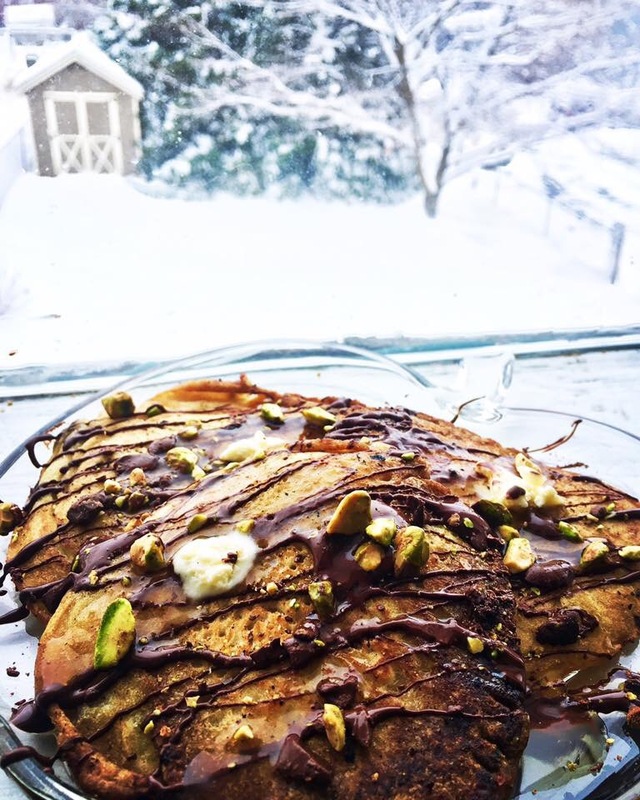 Snow Day Baking! – Midnight Munchies & More! This past week, we got a bunch of snow and ice. 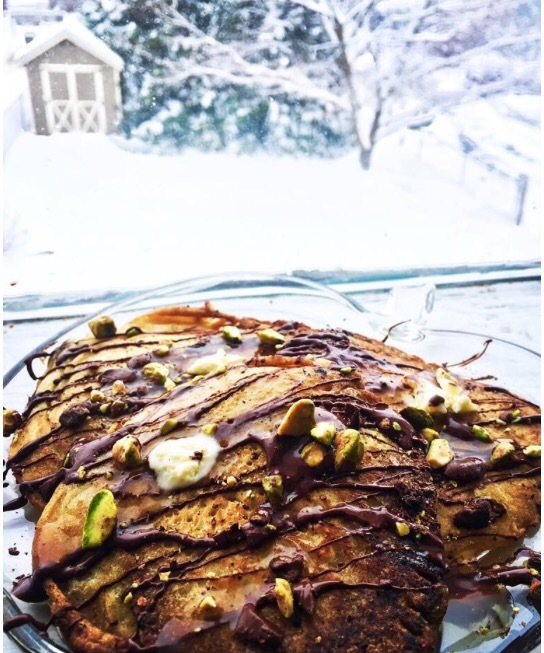 So, to fill up the boyfriend for shoveling purposes, I decided to make these Vegan Pancakes extra special! Mix ‘butter’, water and flax meal mixture together then add in the well. Stir but just until combined. Don’t over mix, it’s ok to be lumpy. Pour batter and sprinkle with chocolate nut mixture and Cook in a well greased frying pan.